Was “Sable Basilisk” Really “Rouge Dragon”? In a recent (May 17, 2012) news item in The Sault Star, the city council of Sault Ste. 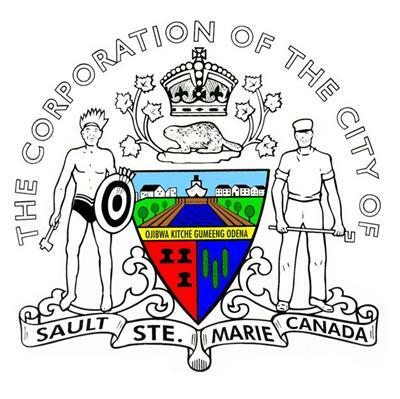 Marie in Ontario, Canada, has voted as a part of the city’s centennial celebration to apply to the Canadian Heraldic Authority for a grant of a coat of arms to replace the one they’ve been using unofficially for the past century. 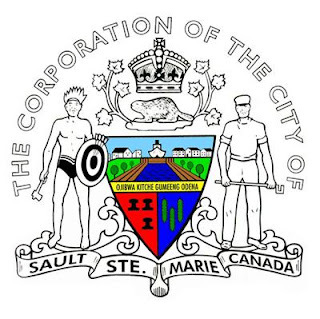 A report to council indicates the [currently used] emblem appears to be an evolution in design from the original municipal crest — a beaver (1871-1887) and the one used for the Town of Sault Ste. Marie — a view of the locks and railway bridge (1887-1912). The research also shows that it appears the city solicitor was asked to apply for a copyright in 1916, but the emblem was never registered. City Clerk Malcolm White said, “We're looking at this as more of an evolution rather than a redesign.” They are hoping to retain a number of elements from the current unofficial arms.